A woman shocked friends after she posted a photo of a little boy with Down's syndrome inside a washing machine on Facebook. 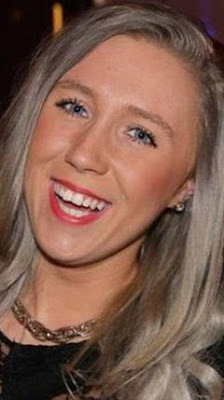 Courtney Stewart, 21, (pictured above) shared the photo saying the 2 year old boy had climbed into the machine by himself because he has a 'washing obsession', and said she was sharing the photo 'as a laugh'. The child was in her care when the photo was taken. Her neigbours in Erskine, Renfrewshire, UK, didn't think the photo was funny and reported her to police. The police visited her but she was not arrested. She told police that the door to the washing machine had not been closed on the boy, and the machine was unplugged as she was waiting for a new one to be delivered. Ms Stewart claimed she was also assaulted on her doorstep by a stranger who had seen the picture. She has since removed the photo.